As part of efforts to reduce flooding in the Freetown municipality, the Freetown City Council (FCC) yesterday (20th June) officially launched a flood mitigation plan aimed at alleviating humanitarian, health and economic impact of natural disasters on residents in the peak of the rainy season. 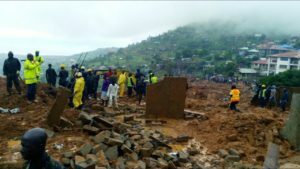 In August 2016, over 500 people, including women and children, lost their lives to a mudslide and flooding in Freetown after days of heavy downpour. 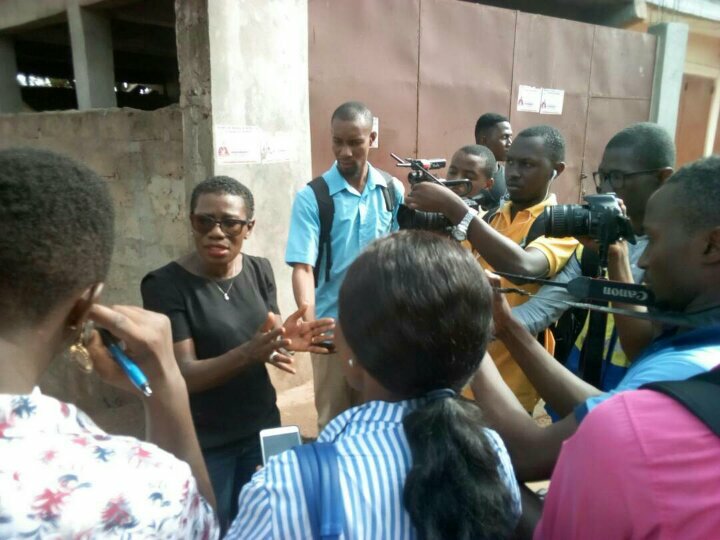 Speaking at the launch, Mayor Yvonne Aki-Sawyerr, said flooding in Freetown was a regular occurrence during the rainy season, noting that among the causes of the disaster are deforestation, building along streams, inadequate garbage collection sites and poor existing drainage infrastructure and maintenance of the drainage system. She said the FCC’s flood mitigation plan uses simple, cost-effective methods that all of Freetown’s residents should follow on a daily basis to save lives and livelihoods, adding that with changes in human behaviour, Freetown could be saved from flooding disaster. Mayor Aki-Sawyer said the FCC would be raising awareness on the impact of poor waste management in the environment, embark on a rigorous 15-day cleaning exercise in predominantly disaster-prone areas of Freetown, work on drainages, gutters and culverts, encouraging communities to develop their own flood mitigation plans and strengthening enforcement to prevent disposal of waste in gutters, culverts and waterways. Representative from UNICEF, Hamid El-Bashir, said the launch was crucial to ensuring the safety of residents of Freetown, adding that the UN Children’s Fund would support the FCC’s plan to clean the environment in a bid to prevent flood related disasters and disease outbreaks. Meanwhile, prior to the development of the plan, representatives from the FCC, Republic of Sierra Leone Armed Forces and Sierra Leone Roads Authority had mapped out flood prone communities, with strategies for reduction. The FCC’s flood reduction operation plan is also supported by World Food Programme, the Chinese Embassy, Catholic Relief Services, Sierra Leone Red Cross, GOAL, UNOPS, G4S, Office of National Security and Ministry of Health and Sanitation.